If you were involved in a car accident, it is common to encounter obstacles that have the potential to impact the rest of your life. You may feel overwhelmed following a car accident and unsure of how to move forward. You likely have large bills relating to your injuries and property damage that occurred as a result of the accident. In these situations, you need the assistance of an experienced car accident attorney. It is in your best interest, however, to avoid selecting the first attorney that you come across. Instead, it is critical to ask questions about whether an accident attorney will be able to create the strongest legal strategy to obtain the compensation that you deserve. The following will review some of the important factors that you should consider when obtaining the assistance of an experienced New Jersey car accident lawyer. 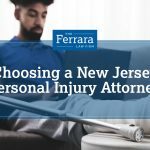 An experienced New Jersey car accident attorney understands not just how to navigate car accident cases but also the complex issues that are unique to New Jersey car accident law. Attorneys with adequate experience also have successfully navigated numerous cases that are similar to yours. Make sure that the attorney you select is the one who will be handling your case and not another attorney at the firm. In some situations, people find a lawyer who they trust, only to discover that the attorney handling the case is an associate who does not have as much experience. You need a relationship of trust and an open line of communication with the specific attorney who will be handling your case. While it is suspicious if an attorney does not have any other clients, it is also important to make sure that an accident attorney has enough time to successfully handle your case. If an attorney is not able to dedicate a sufficient amount of time to your case, this can lead to less than satisfactory results. One of the most critical questions to ask a new attorney is what the fee structure will be for his or her services. Most experienced accident attorneys work on a contingency basis, which means that you do not owe any attorney’s fees unless the lawyer is successful in obtaining compensation for you. Make certain that you understand what the fee arrangement will be before entering into a legal agreement. Select a car accident attorney who will give you the greatest chance possible at obtaining adequate compensation. 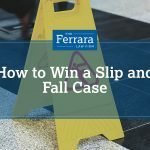 At Ferrara Law, we have helped numerous people navigate the various obstacles that arise following car accidents, and we are prepared to fight for the results that you deserve. Contact our law office today to schedule a free initial consultation.